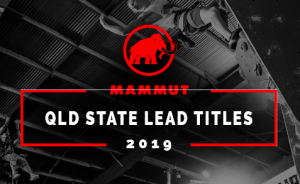 The Mammut 2019 Queensland Youth State Lead Titles will be held on 9 – 10 March 2019 at Urban Climb in Brisbane. Full details can be found at the Sports Climbing Australia website for the event. See Sport Climbing Australia’s website for the full competition season calendar. Copyright © 2019 Sport Climbing Queensland.